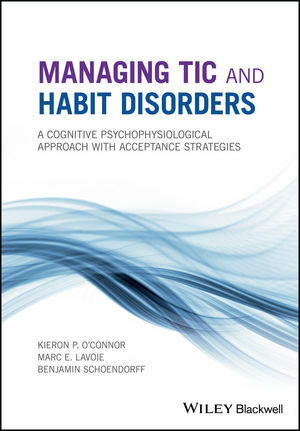 Managing Tic and Habit Disorders: A Cognitive Psychophysiological Approach with Acceptance Strategies is a complete client and therapist program for dealing with tics and habit disorders. Groundbreaking and evidence-based, it considers tics and habit disorders as part of the same spectrum and focuses on the personal processes that are activated prior to a tic and habit rather than the tic or habit itself. By drawing on acceptance and mindfulness strategies to achieve mental and physical flexibility in preparing action, individuals can release unnecessary tension, expend less effort and ultimately establish control over their tic or habit. The authors explain how to identify the contexts of thoughts, feelings and activities that precede tic or habit onset, understand how self-talk and language can trigger tic onset, and move beyond unhelpful ways of dealing with emotions - particularly in taking thoughts about emotions literally. They also explore how individuals can plan action more smoothly by drawing on existing skills and strengths, and overcome shame by becoming less self-critical and more self-compassionate. They conclude with material on maintaining gains, developing new goals, and creating a more confident and controlled lifestyle. Managing Tic and Habit Disorders is a thoughtful and timely guide for those suffering from this sometimes all-consuming disorder, and the professionals who set out to help them. Kieron O'Connor, PhD, is currently director of the OCD Spectrum Study Centre at the University Institute of Mental Health at Montreal, and Centre Integré Universitaire de Santé et de Service Sociaux de L'Est de l'Ile de Montreal. He is also Full Professor at the Psychiatry Department of the University of Montreal and affiliated professor at the University of Quebec. Marc E. Lavoie, PhD, is a professor of psychiatry and neuroscience at the University of Montréal and is currently head of the Cognitive and Social Psychophysiology laboratory at the research center of the Institut Universitaire en Santé Mentale de Montréal. Benjamin Schoendorff, MA, MSc, is a clinical psychologist and director of the Contextual Psychology Institute in Montreal, Canada.